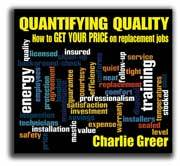 Home--Charlie Greer's HVAC Profit Boosters, Inc.
Charlie Greer's 4-Day Sales Survival Schools Are Back!! If you've got the desire, I'll give you the skills you need to succeed in plumbing, electrical and hvac sales...salespeople and service techs alike! 2018 TEC DADDY PLANNERS ARE ON SALE! Want to see it up close? Click here to download a sample month. Set and hit your sales goals and lead a happier, more successful, more organized life! The person who responds to telephone inquiries for service and free estimates has one of the most important positions in a service company. Specifically made for PLUMBING, ELECTRICAL and HVAC Service Contractors. Play one per week for a year's worth of ready-made sales training. Your success as a service contractor depends on your service technicians' success as salespeople -- and they don't even want to be seen as salesmen! This ground-breaking series will help you break through that barrier, change your whole company culture, and convert you it from a service company to a SALES company! 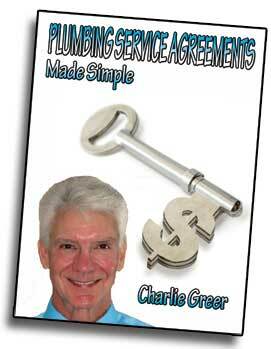 With this short audio course, your technicians will start selling service agreements immediately! 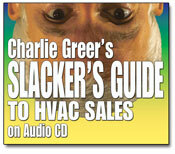 Slacker's Guide to HVAC Sales - Now on MP3! How to deal with "one-leggers"
This series can make you millions of dollars in extra sales, will give you a more positive outlook, will win you the admiration of others, and costs less than the profit you'll make on one sale! This single CD will be the most profitable 32 minutes of your life and will teach you the close that will help you to BEAT LOW-BIDDERS on replacement jobs. The info on this CD is not covered in "Slacker's Guide to HVAC Sales." "First chance to use Quantifying Quality close yesterday and the customer stopped me half-way through it to buy. What a game changer, to be able to overcome a $2,400 difference in price! You are the man!" 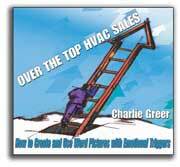 This single, 45-minute CD will will teach you a dialogue that will inspire enthusiasm in your customers that will make them feel good about buying from you, and will challenge everything you ever thought you knew about HVAC sales. The info on this CD is not covered in Slacker's Guide to HVAC Sales. This website is for Plumbing, Electrical, and HVAC Contractors, Service Techs, Salespeople, and CSRs who want to learn how to ethically increase their profits by properly pricing their products and services, and learning how to sell them. I ship just about anything to just about anywhere in the world with no extra shipping costs!